We determine the degree of interaction between two complex networks G1 and G2 by measuring the changes in their structural properties. Networks G1 and G2 are made to interact by identifying a fraction of nodes nc < |N1| present in both networks to be identical or similar that they can essentially replace each other. We set G1 such that it has fewer number of nodes such that |N1| < |N2|. The nc common nodes are chosen according to some network properties such as degree, centrality, and clustering. Each of the pair of networks which are made to interact are chosen from the well-known models of real-world networks. Their interactions reveal salient properties of complex systems interaction that has implications in many biological and physical phenomena. E. J. Medina and J. Bantang. 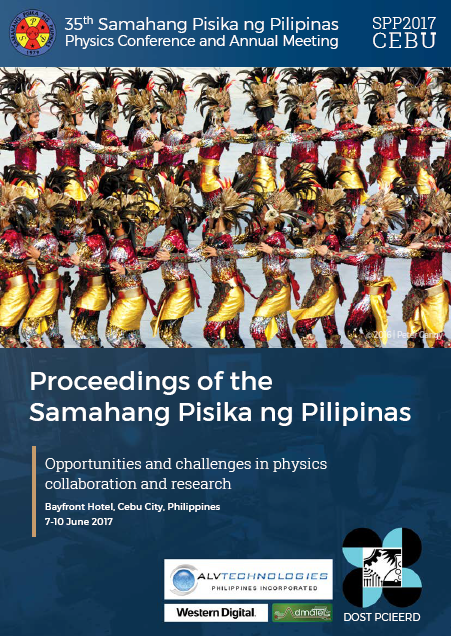 Structural changes during a complex network interaction, Proceedings of the Samahang Pisika ng Pilipinas 35, SPP-2017-PB-14 (2017). URL: https://paperview.spp-online.org/proceedings/article/view/59.